When it comes to strategy games or simulators that have an established legacy, fans can be particularly picky, and very traditional. Often, the fan favourite of a series is most certainly not the newest entry, particularly if there's been a lot done to change the game. Take, for example, Civilization. Civilization 2 still dominates the "top Civ" game lists, even when Civilization VI and others have proven to be so great. And the less said about recent efforts at Sim City the better, in the eyes of many. Satirical-but-deep simulator, Tropico, has followed a similar path, with the third entry been a prime example of what makes a game heartfelt, nostalgic and most importantly captivating, and holding a special prestige with fans as a result. With each follow-up, however, there seemed to be less of what made that third entry great, even as the developers worked hard to modernise the series. With Tropico 6, the presentation and new ideas introduced certainly leads for a more captivating experience. 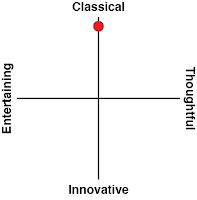 While it is helped by repackaging a lot of previous concepts, it conveys them in a better way than any previous entry. So, the question becomes, does Tropico 6 do enough to overthrow the mighty third instalment? Is the new El Presidente strong (and corrupt) enough to sway players to the latest entry? Based not-too-subtly on the politics of Cuba from back in the day, your goal is to take command of a dictator (based not-too-subtly on Castro), and stay in power as long as possible, effectively a president for life. Enter a soundtrack of propaganda over the radio, rousing speeches from the pulpit, and the need to send spies around the world to steal technology and cheat in diplomacy. It's satirical in tone, but in a world where politicians are using similar misinformation tactics so freely without repercussion, the world of Tropico is more poignant now than ever. . Returning players will find a range of new and improved features to keep themselves invested in the title. Some are rethinking the previous conventions, such as more customisation options to bling out the president's palace and the return of election speeches, which were a major feature of earlier Tropico titles, but dropped from the last one. Other new features feel like the needed glue the series needed, with the introduction of raids. Raids are missions which are built around taking technology from other nations, and putting specific buildings onto your islands. For example, during the colonial era you can build a Pirate Cove, which then offers you a devious way to rebel against the crown by plundering the seas. Later eras offer other buildings, for example a Commando Garrison that strengthens your military. Other buildings are not military in nature, but rather provide economic or social boons, and from Stonehenge, to the Great Sphinx and even The White House. In short, it's possible to "steal" a very wide range of buildings from other nations, each with their own powerful effects, and this helps to give the spy mechanics - and diplomacy - a greater edge than in editions past. They're particularly well integrated with the story missions and goals, too, meaning that they're an element you're not going to want to overlook. 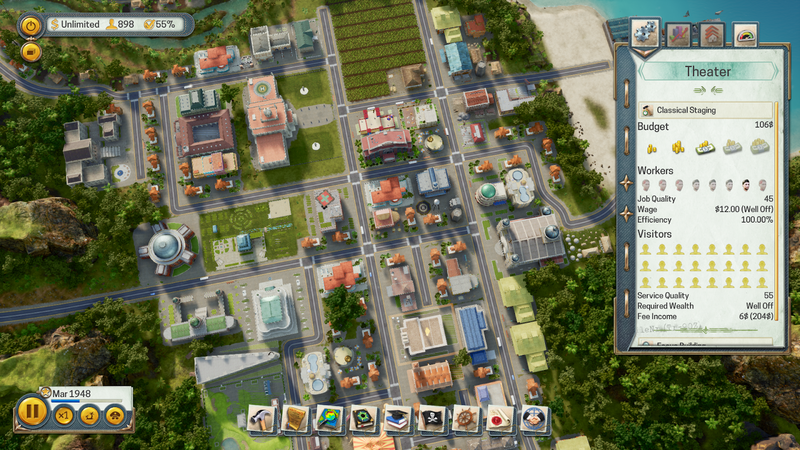 There's such a great range of these buildings that it would be impossible to build them all in a single play through - Tropico's a little like how the great wonders work in the Civilization series. And, just as with that series, I found myself still going for ones I found interesting or visually appealing, and threw out any strategic logic in any of my playthroughs. 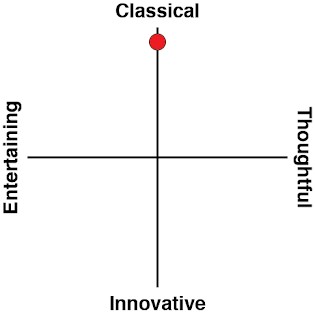 Which led me towards ruination at times, but hey, it was fun while it lasted. The trade feature is another aspect of the Tropico series that has been around for a while, however this time it feels repackaged in way to make it easier to understand. I remember that often with the older games I would rely heavily on foreign aid or what the freighter brings in for money. However, this time the trade menu seemed more accessible and less daunting. It's also well implemented within the story mode, which acts as a tutorial to make sure players are comfortable with how the system works. 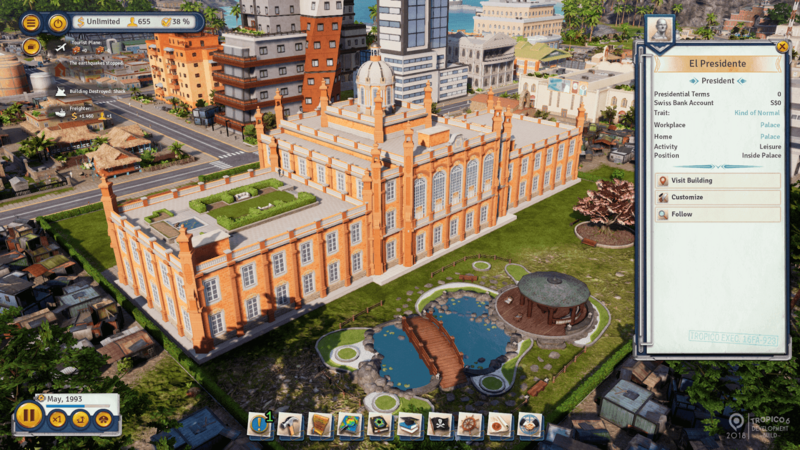 Tropico 6 in general does a good job at educating the player to the desired outcome. In previous versions for example recommended buildings where just a line of text in the construction menu. However, this time around there's more detailed advice available on what would be wise to build next. Another great addition to the game is the recognition that in places like the Caribbean, nations rarely operate on a single island (yes, that's the case with Cuba, but that's the exception to the rule, and Cuba certainly hasn't been the only dictatorship in the region over the years). 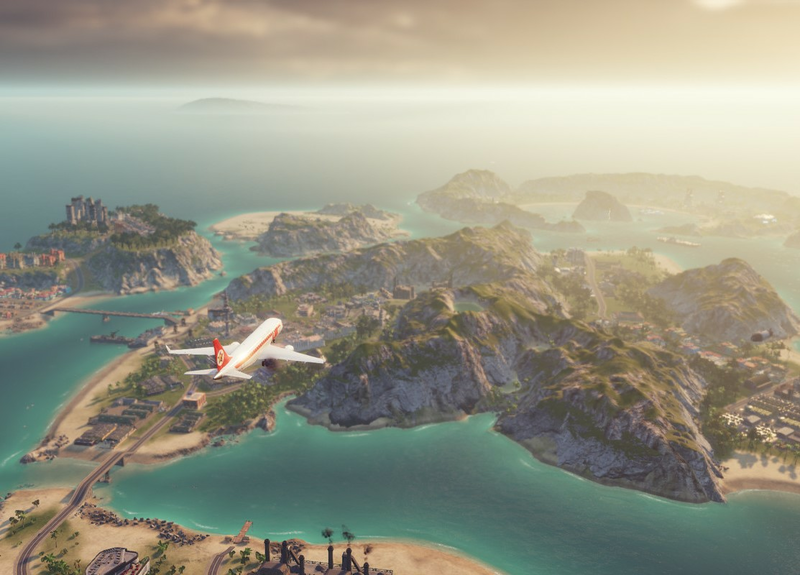 Instead of static one-piece islands, Tropico 6 introduces archipelagos which offer their own unique challenges, from accessing the specific resources that you need, to managing the logistics of travel around the place. By the time you've grappled with these challenges, the map pops with the various plantations and natural landmarks. I particularly like maps with volcanic ash or salt lakes, and these kinds of features only really work because of the multiple islands approach to nation building. 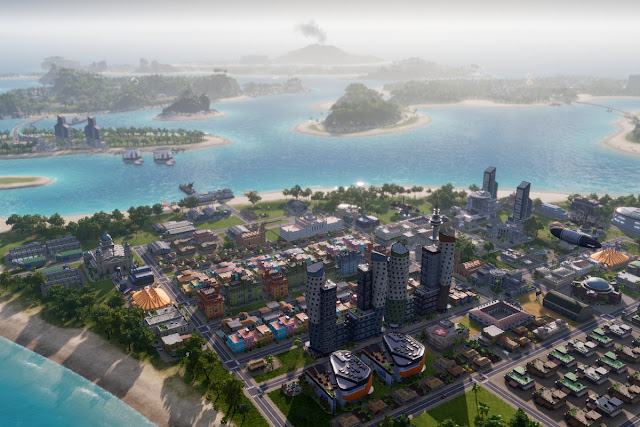 Ultimately Tropico 6 does provide the much-needed stepping stones to advance the series. For a series which often gets continued updates or DLC, Tropico 6 is also with with a long and exciting future ahead of it. The developer has indeed created what sets out to be the definitive version of Tropico, and while there may not be ground breaking adjustments to the core of the series, at its core the series doesn’t need to be something else. The enhancements to the strategy side of the game are welcome, but really, it's the return of the satire that makes Tropico 6 such a delight.